Comment: An interesting article in which describes the author’s idea of an open university and suggests practices/interventions for it. Abstract: Open scholarship, such as the sharing of articles, code, data, and educational resources, has the potential to improve university research and education as well as increase the impact universities can have beyond their own walls. To support this perspective, I present evidence from case studies, published literature, and personal experiences as a practicing open scholar. I describe some of the challenges inherent to practicing open scholarship and some of the tensions created by incompatibilities between institutional policies and personal practice. To address this, I propose several concrete actions universities could take to support open scholarship and outline ways in which such initiatives could benefit the public as well as institutions. Importantly, I do not think most of these actions would require new funding but rather a redistribution of existing funds and a rewriting of internal policies to better align with university missions of knowledge dissemination and societal impact. McKiernan, EC (2017) Imagining the “open” university: Sharing scholarship to improve research and education. PLoS Biol 15(10): e1002614. Notes: The League of European Research Universities (LERU) provides and advice paper on the move towards Open Science/Open Scholarship in Europe. Emphasises coordinated action and culture change, including a check list for universities to address in the seven areas for change that the paper identifies. Summary: Open Science opens up new ways in which research/education/innovation are undertaken, archived and curated, and disseminated across the globe. Open Science is not about dogma per se; it is about greater efficiency and productivity, more transparency and a better response to interdisciplinary research needs. The LERU universities are convinced Open Science brings new and exciting opportunities for the scholarly community and for how academics interact with society. They also realise, however, that this transition will not be straightforward to deliver. There are challenges that lie ahead. For universities and other stakeholders to embrace Open Science principles, policies and practices, there needs to be a culture change in these organisations if this transition is to be successfully negotiated. 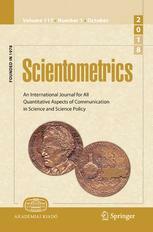 This paper discusses the eight pillars of Open Science identified by the European Commission (the future of scholarly publishing, FAIR data, the European Open Science Cloud, education and skills, rewards and incentives, next-generation metrics, research integrity, and citizen science), analyses what the introduction of Open Science approaches means at university level in each of these eight themed areas and identifies possible benefits and challenges. For each of the eight Open Science areas, recommendations about what universities can do are formulated. Evidently, they imply a broader supportive environment and productive interactions with external stakeholders, too. Next to the recommendations in these eight areas, the paper offers some high level conclusions and recommendations to transition at the institutional level and provides a set of questions which universities can use to measure their progress in implementing Open Science approaches institutionally. The LERU universities fully acknowledge that Open Science represents a complex and multi-dimensional process of transition, different for every university. The 41 recommendations in this LERU paper do not represent a prioritisation of topics, nor an exhaustive list of actions to be taken by universities. They, and the paper as a whole, are intended to serve as a roadmap to accompany universities´ efforts towards Open Science, leaving room for each institution to carve out its own path, strategy and actions. Ayris, Paul, Alea López de San Román, Katrien Maes, and Ignasi Labastida. 2018. “Open Science and Its Role in Universities: A Roadmap for Cultural Change | LERU.” Organisation. LERU. May 2018. https://www.leru.org/publications/open-science-and-its-role-in-universities-a-roadmap-for-cultural-change. Notes: The integrated recommendations of the main European expert policy group on Open Science. Includes a focus on rewards and incentives but primarily at the individual level. Amongst the release documents associated with this is a reference to a Norwegian proposal to kitemark universities based on their open science performance. Summary: The Open Science Policy Platform (OSPP) adopted on the 22nd of April 2018 a set of prioritised actionable recommendations concerning the eight Open Science ambitions of Commissioner Moedas. These recommendations constitute an integrated advice on all Open Science ambitions of Commissioner Moedas.